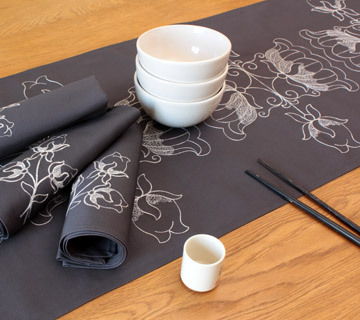 Pure linen place mat and associated table napkin embroidered tone over tone. 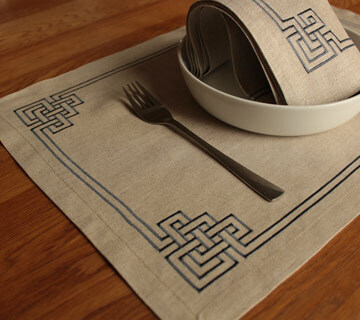 Pure linen place mat and associated table napkin embroidered with tile color thread. 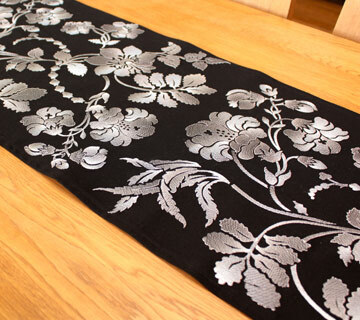 Table runner and associated table napkins embroidered with shiny silver thread over black cotton. Table runner and table napkins with white and plum colour threads embroidery on burgundy colour cotton. 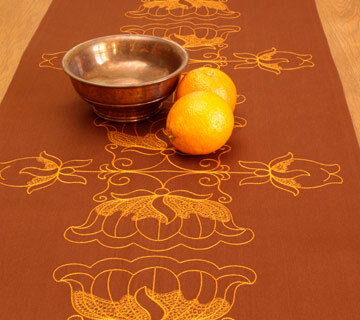 Table runner and table napkins with bright orange threads embroidery on rusty colour cotton. 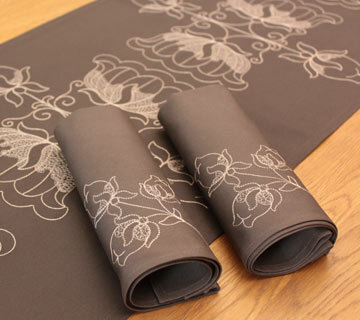 Table runner and table napkins with silver grey thread embroidery on drak grey cotton. 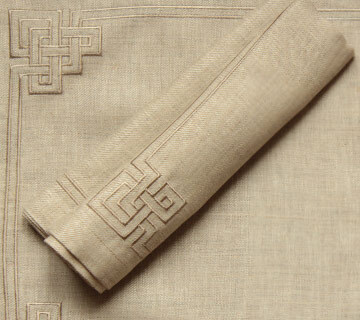 Table runner and associated napkins embroidered with light beige thread on dark beige cotton canvas. Table runner and associated napkins embroidered with straw color thread on beige color cotton canvas. 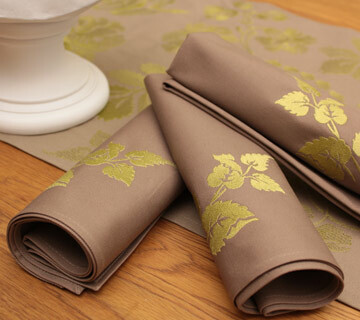 Table runner and associated table napkins embroidered with springful green on dark beige cotton canvas. 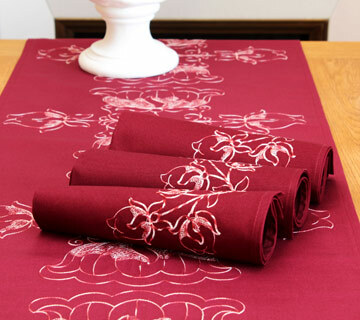 Table runner and associated table napkins embroidered with silver color thread on burgundy color cotton canvas.